Do you have weeds in your garden? Some are very tiny and the roots have not taken hold. Others have a large root system and are almost impossible to pull up without the ground being softened by rain. The large ones when pulled up leave a bare spot in the lawn or your garden. If all the roots are taken up the weeds die but, if some of the roots are left behind the weeds will spring up again. The weeds are like the temptation to sin in our life. The sin starts out very tiny, maybe just a thought that is not acted upon. But if we do not kill that thought before it grows, soon it will become a large and it will be much harder to get rid of because that sin will be rooted deep into a hardened heart. In order to completely remove that sin, our heart must be softened by the Holy Spirit and then the roots must be removed when we ask Jesus to forgive our sins and cleanse us. If we do not for sake the sin in our life it is like that little weed that root was not completely removed and we can once again be caught up in that same sin. 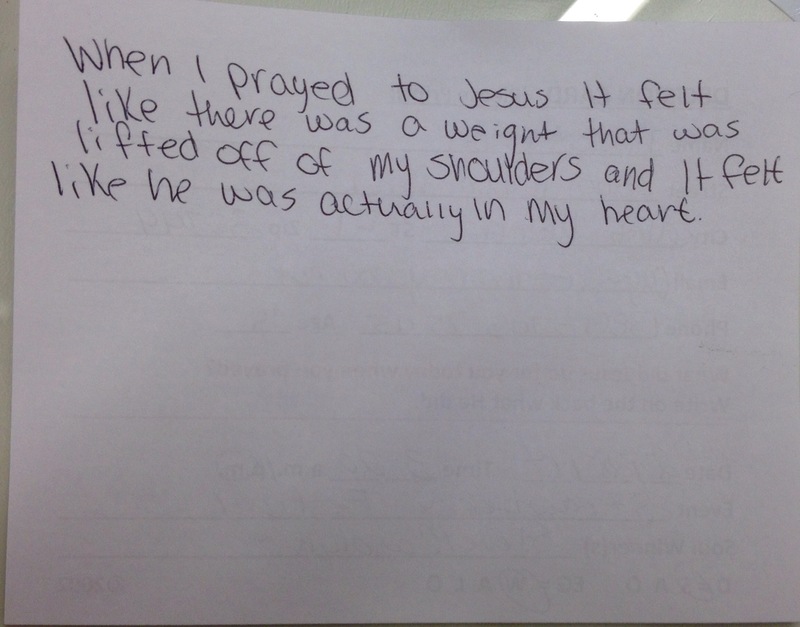 This is an actual testimony written on the back of a SOS Events decision card by a 14 year old girl named Alyson. She is just one of the 250 people who trusted Christ at the Strawberry Festival in Plant City, Fl last year. Tomorrow is opening day. Please pray for many to be saved at this event. The Lord is not slack concerning his promise, as some men count slackness; but is longsuffering to us- ward, not willing that any should perish, but that all should come to repentance.